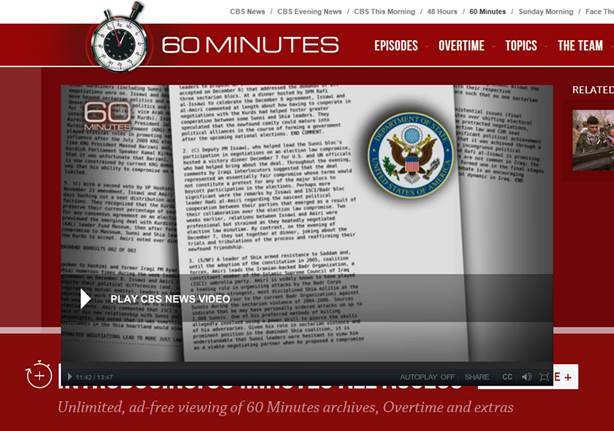 Where Did ’60 Minutes’ Get a Classified State Department Cable? 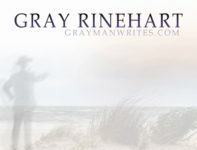 The banner line — the overall classification marking at the top of the document — isn’t visible, but do you notice anything about the paragraph markings on that page on top? It’s hard to see at this resolution, but there’s a parenthetical (C) after the number of paragraph 2. If you served in the military or some other national security posts, you will recognize that portion marking: it means that paragraph contains CONFIDENTIAL information, the lowest level of classified information. 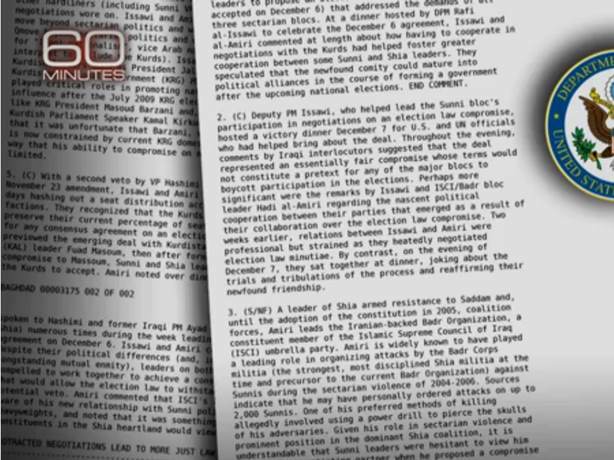 It is at least possible that CBS News obtained a declassified document and then re-worked it to something like its original condition, but as presented it appears that they used a still-classified memo. If so, then the question is how did CBS obtain the document? Why did they feel obliged to display it so prominently? And, perhaps more to the point, did Lara Logan know when she read part of paragraph 3 that she was releasing information that the Government had deemed should not be released to any foreign national? If that document was indeed classified, as it appeared to be, I hope the appropriate parties at the State Department and within the Intelligence Community are investigating how this information was passed to the producer and correspondent. **It goes against my training and long-ingrained experience for me to post screenshots that may contain classified information, but the images were already broadcast as part of a national news program. As the Operative said in Serenity, “Damage done.” However, if a US Government representative asks me to remove the images, I will gladly do so.